Product is not available for international orders. -- Select a Size/Color -- Large - Out of Stock! 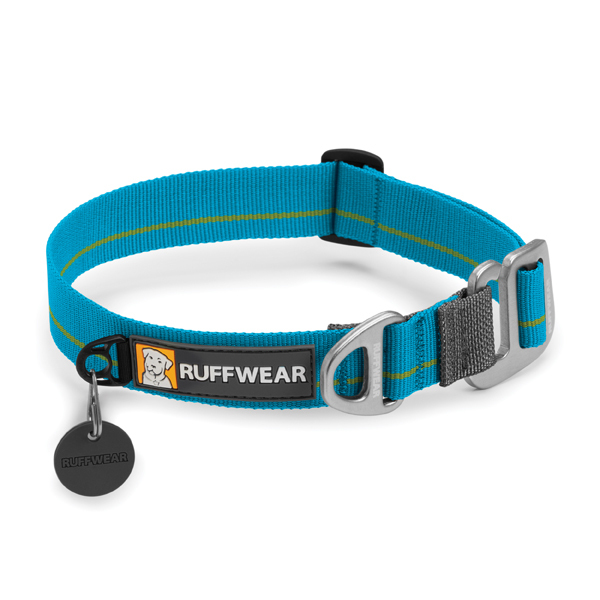 Hit the hiking trail with ease and confidence with the Crag Dog Collar by RuffWear in Baja Blue. 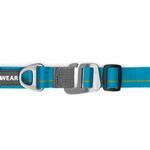 The safety and outdoor technicalities of this dog collar will have every backpacking dog barking for joy. 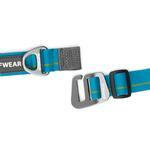 The Crag Dog Collar by RuffWear has durability and design aesthetics come together with the Tubelok webbing. Features a separate ID attachment point and tag silencer to reduce tag jingle. RufferWear designed aluminum Talon Hook is strong and makes the collar easy to take off and on. 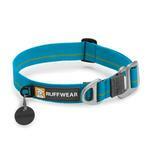 The RuffWear-designed, anodized aluminum V-ring makes for a strong, easy clip-in. Love your site, just sad that several of the products I wanted were out of stock or not in the size I needed.